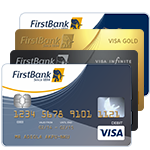 At FirstBank, we provide the support businesses need to grow with a dedicated business current account. This account is designed for micro, small, medium and large-scale enterprises, enabling businesses perform a variety of transactions at a predetermined fee. The account comes in four (4) variants personalized to fit your business needs. Maximum monthly debit turnover of N5 million. Excess on debit turnover limit attracts a default account maintenance charge at N1/mille. Excess on debit turnover limits attracts charges. Individual and Corporates organisations can operate this account. Duly completed Specimen Signature cards. 1) What is the FirstCurrent Business Account all about? It’s a new current account designed to cater for business needs of small and medium-scale enterprises. It allows unlimited transactions without paying COT. 2) Since this account does not attract COT, are there other charges to be paid by customers? The First Current Business Account allows payment of a monthly fixed charge depending on the particular variant subject to a prescribed minimum account balance and maximum debit turnover. 3) If a customer exceeds the prescribed maximum monthly debit turnover limit allowed on the Account, is there any penalty for the violation? Yes. The customer pays COT at N3/mille on the excess amount over the prescribed debit turnover limit. 4) Can a customer of FirstCurrent Business Account use it to access a loan from the Bank? The First Current Business Account is a non-borrowing account. 5) Are references required to open FirstCurrent Business Account? Yes. The requirements for opening the generic current also apply to the First Current Business Account. Credit Cards: Explore and enjoy the buy now pay later facility our credit cards offers you. 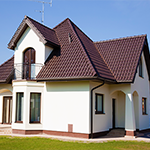 Personal Home Loan: Let’s help you become a homeowner with this loan, whether you’re constructing or buying.